Dr. Robin Koeleveld, MD is a Doctor primarily located in Clayton, NC, with another office in Raleigh, NC. He has 34 years of experience. His specialties include Neurological Surgery. He speaks English. Dr. Koeleveld has received 6 awards. 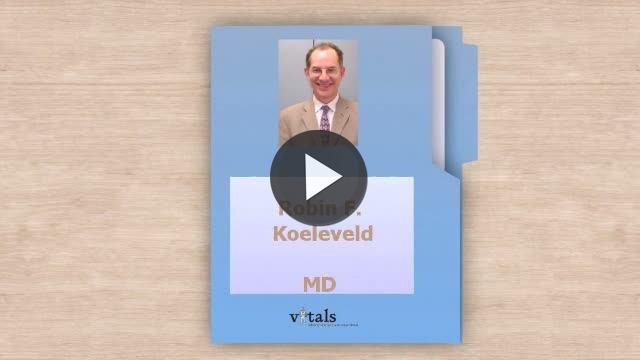 The overall average patient rating of Dr. Robin Koeleveld is Great. Dr. Robin Koeleveld has been rated by 80 patients. From those 80 patients 27 of those left a comment along with their rating. The overall rating for Dr. Robin Koeleveld is 4.1 of 5.0 stars. Not good enough to cut up a chicken. No skill. Hopes patient will start taking drugs, so he does not have to answer for the horrible surgery that he performed. Dr. Koeleveld is a true angel! He performed brain tumor surgery on me and from the first moment I met him, he handled me, my condition and my family with care. He was confident, assertive and reassuring throughout the entire project! I will always have a special place in my heart for him especially since I have a second chance at life because of him! impressive in his interaction with me in discussing the issues, the procedure, and the expected recovery time and issues. He is the best of the best of the best, from terrible pain to moving pianos all done in the blink of an eye, 2 titanium rods, 6 titanium screws and 32 years of agony are gone, I have referred co-works and friends, all with great results, on a scale of 1 to 10.....he is a 42, it is not easy getting an appointment but you will have this, when your the best! We are sorry, it looks like we don't have insurance information. Please call Dr. Robin Koeleveld's office for more information. Take a minute to learn about Dr. Robin Koeleveld, MD - Neurological Surgery in Clayton, NC, in this video. Dr. Robin Koeleveld is similar to the following 4 Doctors near Clayton, NC. Have you had a recent visit with Dr. Robin Koeleveld? Select a star to let us know how it was.